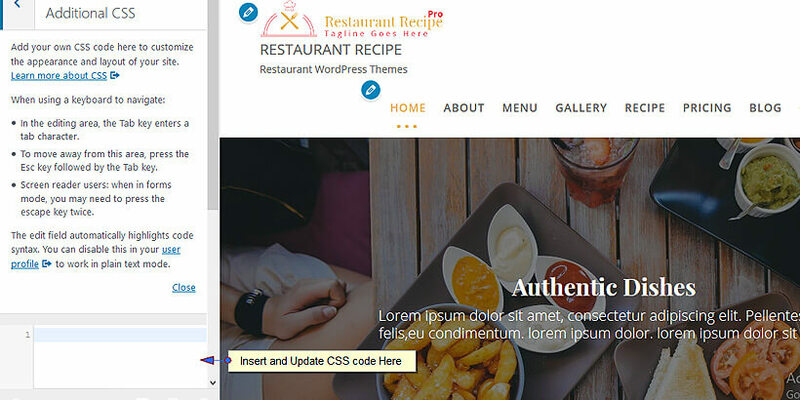 Restaurant Recipe Pro is a Fully Responsive Multi-purpose WordPress theme. 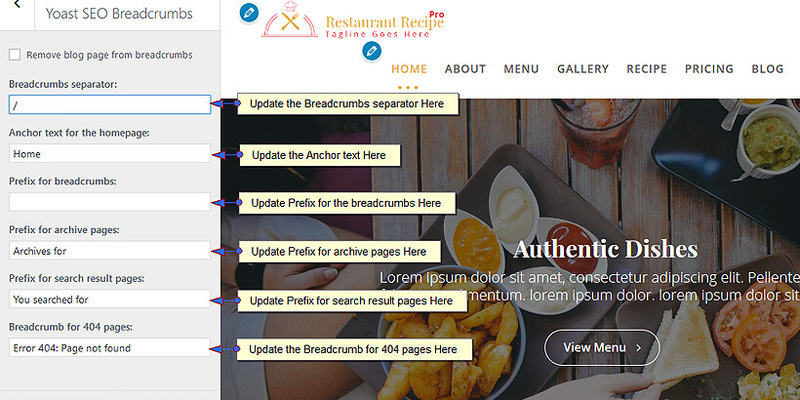 This theme is an ideal one for any kind of restaurant, cafeteria, coffee house and others. 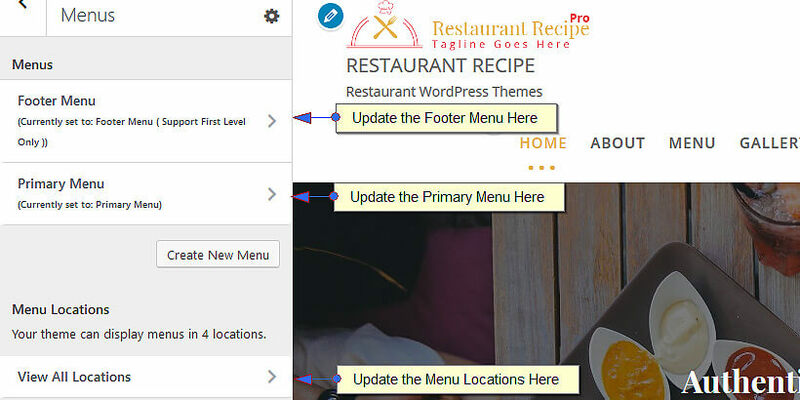 It is the premium version of Restaurant Recipe. Go to the Appearance panel and then on Themes. 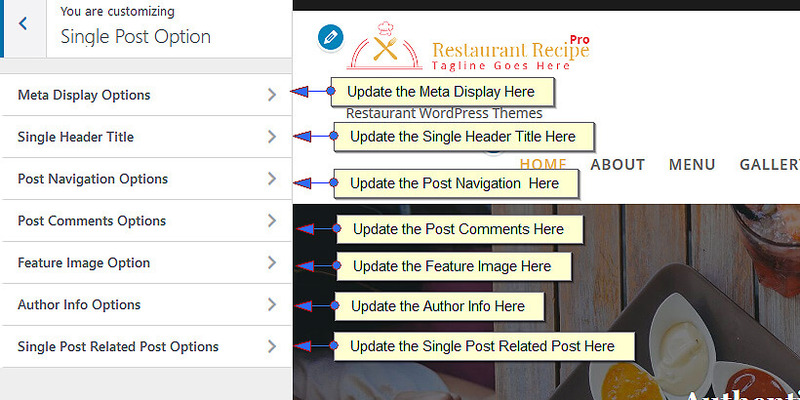 Upload the Zip file of Restaurant Recipe Pro. 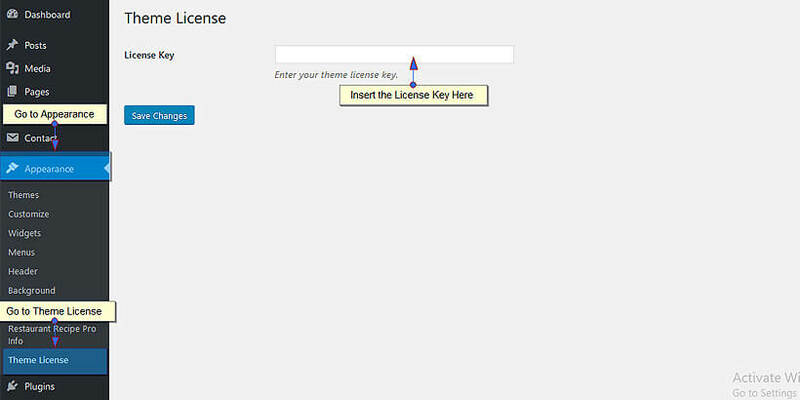 Note: After the theme purchased, you can find the zip file of the theme on My Account page. 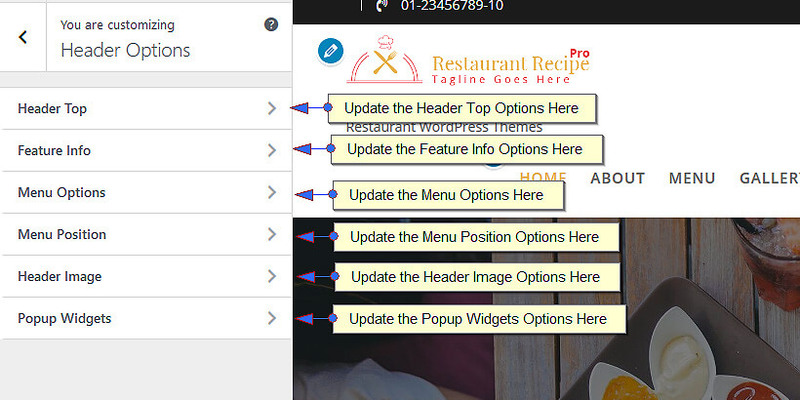 Extract restaurant-recipe-pro.zip and upload the folder. 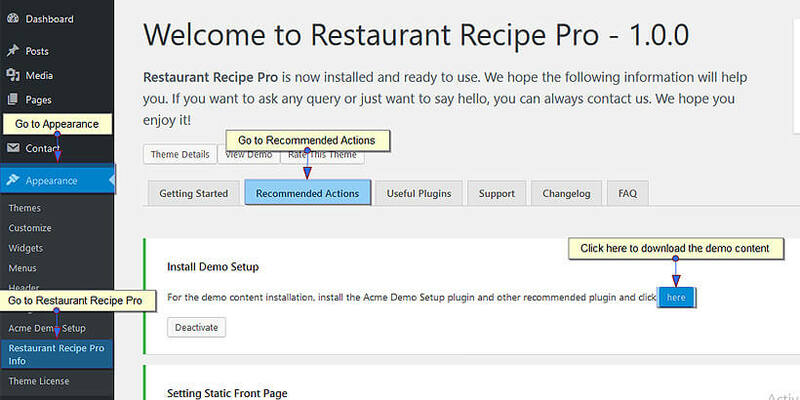 One click demo import is available on Restaurant Recipe Pro. Click on Here to import the dummy data from Recommended Actions Tab. (It may take some while). Note: We recommend you to import demo data on the new installation. 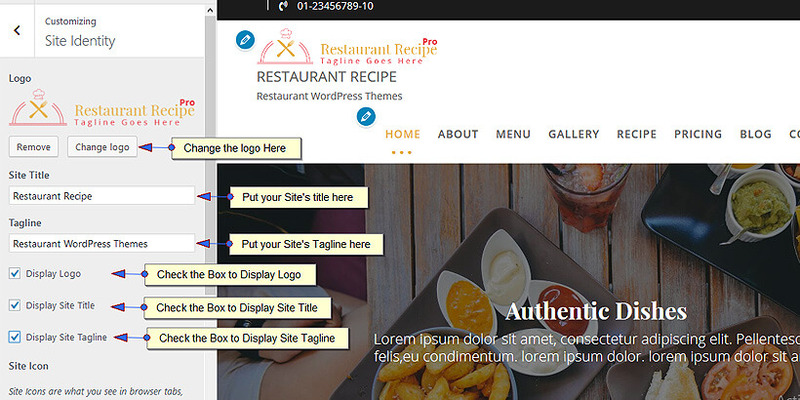 Within your My Account Page you will also receive theme license along with the zip file of Pro theme. Enter the license code in the box and save it. 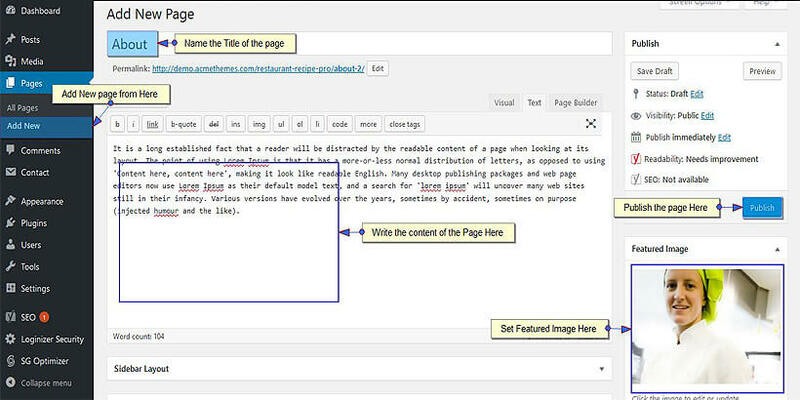 Usually, each page has content and featured image. You can enable Excerpt Field. 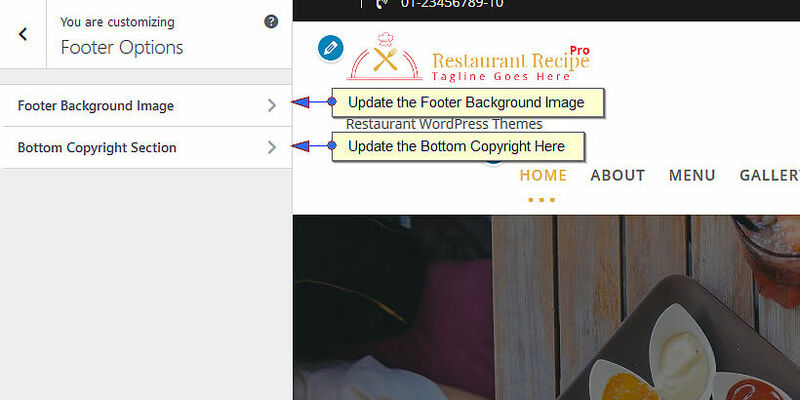 Feature Image and Excerpt Fields are used in the Widget and Sliders. This theme can be fully customized from the Customize section. To customize the theme, Go to Appearance > Customize. 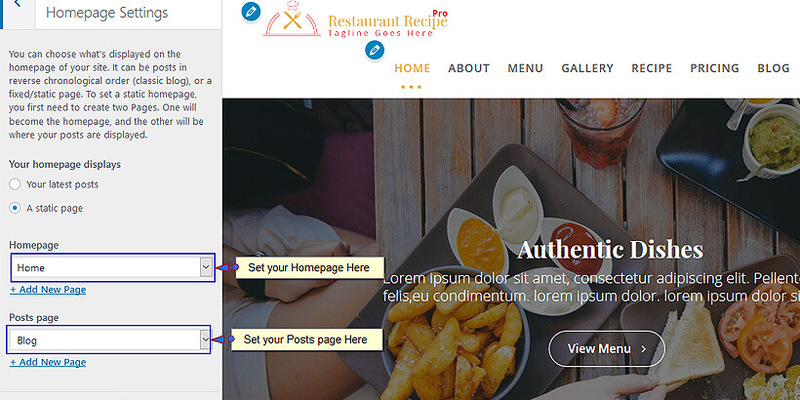 You will find the various options related to the theme. 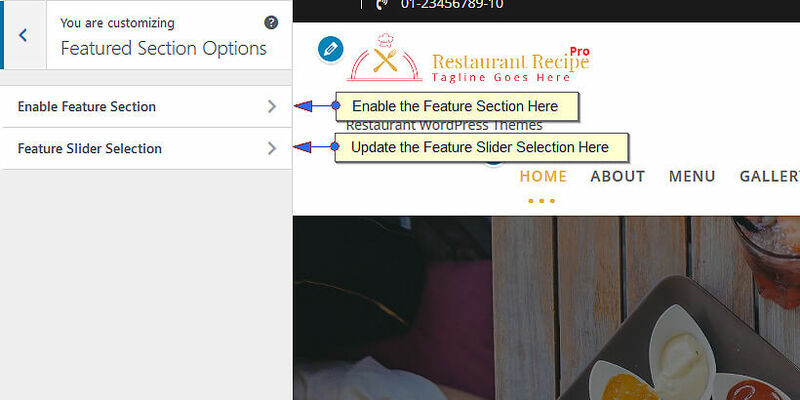 If a preview is fine, click on “Save & Publish” button to save the changes. 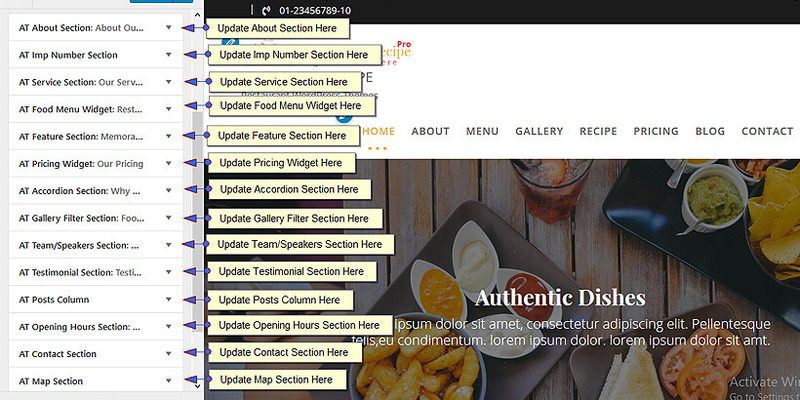 This section is designed to include basic information about your company or Events. 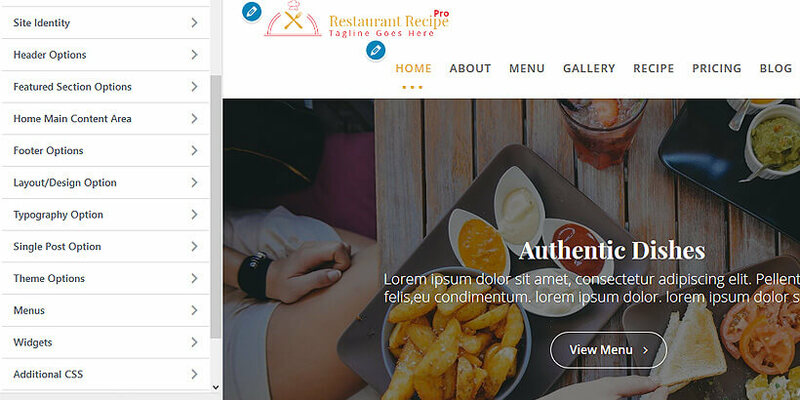 Layout Design Options help to change the overall layout of the site including Front Page Content, animation, the sidebar for the Front page, Archive and Inner pages, Colors, Blog and Single Image size, Background image etc. 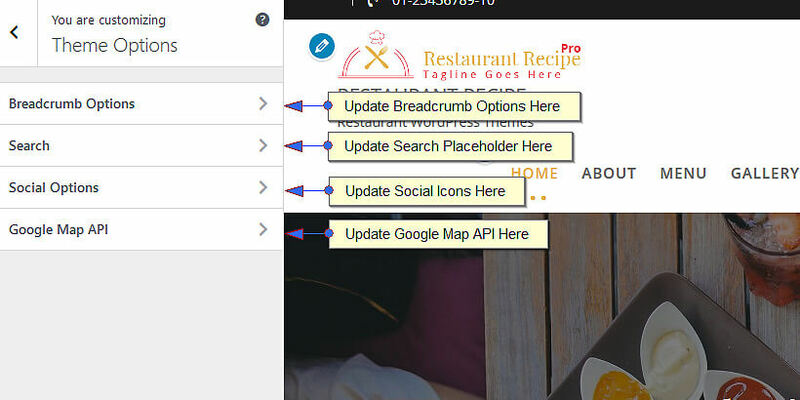 Use the code of Google Map API to display google map in your website. 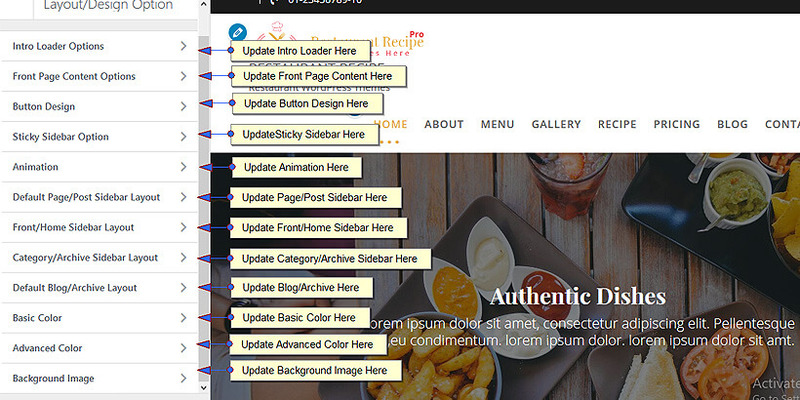 Add your CSS code in the box to customize the theme. Export/Import lets you export and import customization settings in your theme. 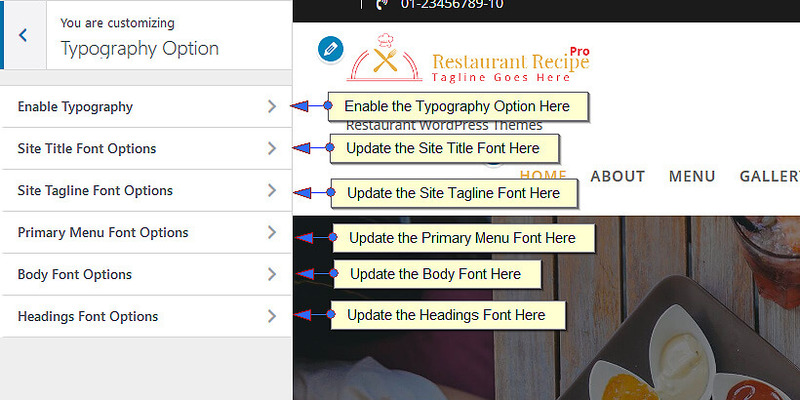 Click on the Export button to download the customization settings from the theme. 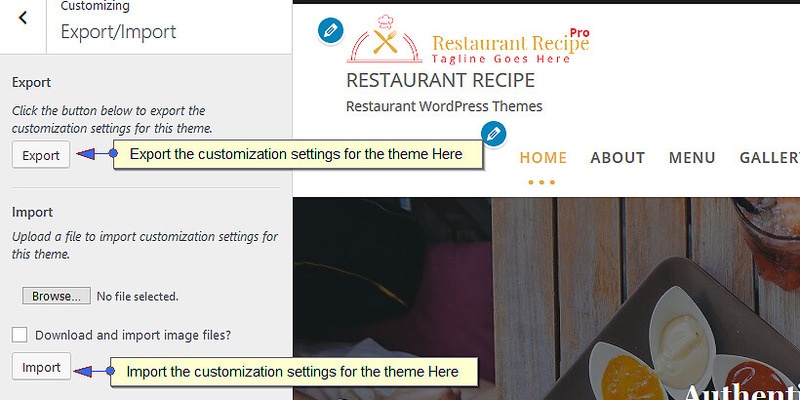 Click on the Import to upload the customization settings to the theme.